Imagine a warm sunny day in Chongqing, China. Wide expanses of lawn and gardens surrounded by apartment blocks – tall but not overwhelming. It’s easy to forget that China is a huge country where they still have the luxury of space. We’d been invited in to the home of Rotary Club leader, Michael, and his Chinese former opera singer wife, Mei. Like other homes I’d visited in this fast developing city, their apartment is spacious and modern with a huge balcony overlooking the gardens – I could hear the peace and calm outside that comes with wide, open space. 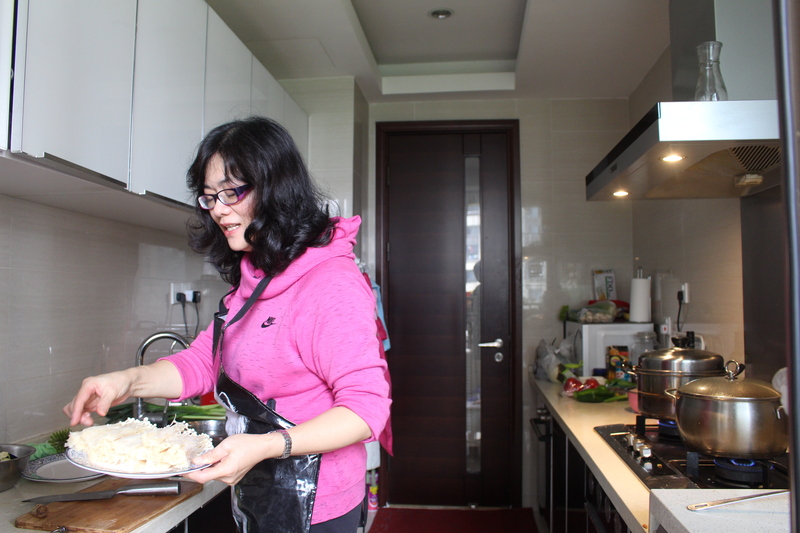 By the time we arrived, Mei had clearly been cooking for hours and her kitchen was alive with pots and dishes at different stages of readiness. Like anyone preparing for a big lunch, she just wanted to get on so we tiptoed around in the background and asked questions – there was no chance of helping! 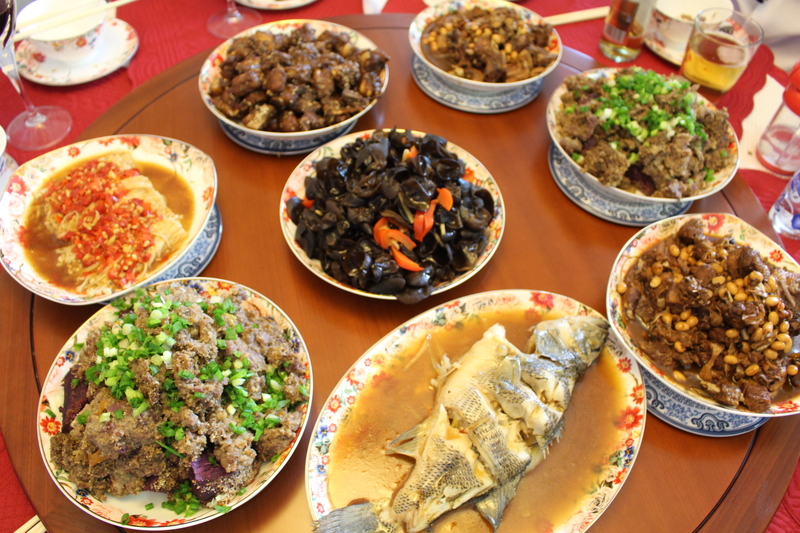 At the end of a frantic morning, she was welcoming guests to a table crowded with home-cooked Chinese treats: duck and pork, fish, mushrooms and much more. And, wood-ear mushrooms are exactly like their name: eating them feels like nibbling someone’s ear – slightly soft, a bit chewy and a little damp! On top of it all, she completed her feast with a song. 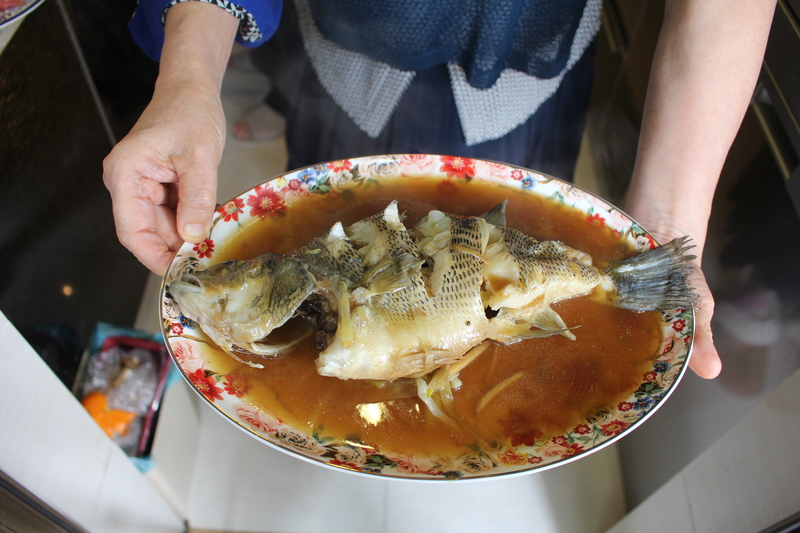 It was a very special way to end our time in China amidst strangers who’d become friends, with real home hospitality and authentic home-cooking. A chance to thank just some who had made the whole trip possible and had arranged all the visits and experiences. Julia was our stand-out champion having tirelessly undertaken translation duties all week. Toby and I have very special memories of those exceptional days in China. But, those two blind women who cooked with me alongside the chefs from the Intercontinental hotel made the strongest impact – next week, there’s a video of us talking together when I learned more about living with blindness in China.